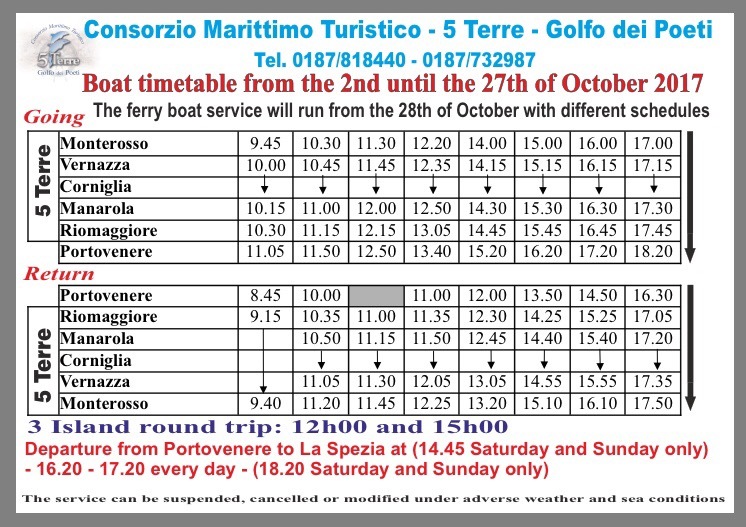 Below you’ll find the latest schedule for the Cinque Terre ferries (which also connect to Portovenere, which is beautiful and recommended). This schedule is good up to (and including) the 27th of October. Starting the 28th of October there will be another schedule (which has yet to be released). Typically the ferries stop running after the November 1st holiday (All Saints’ Day). As soon as I have more details, I will update!